The intense rich colour of a lipstick, enhanced by a satin smooth shine.The earth-shattering lip lacquer from Rimmel London! 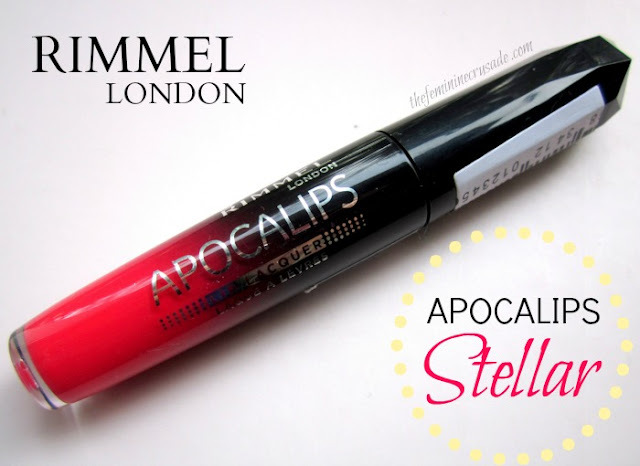 The Rimmel Apocalips are available in 8 STUNNING (yes!) shades; one better than the other. And each contain 5.5ml of product. I don’t think this product even needs an introduction, it is so much talked about already. 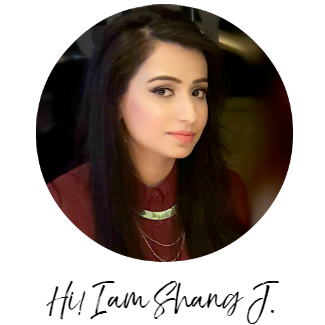 It has taken the beauty blogging world by a storm and rightly so. 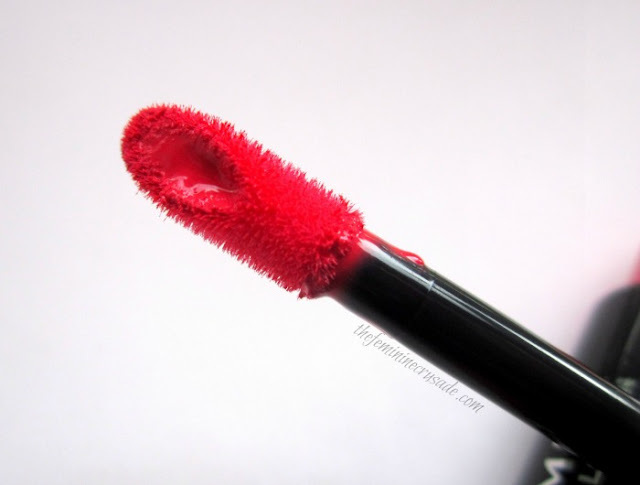 Every raved-about product is not worth the hype (as I have a few to prove my point, which I will be reviewing sometime soon) but these Rimmel Apocalips are one of the world’s greatest lip inventions. I exaggerated here a tiny bit, right? Ah well, at least you get the idea. For those of you who still haven’t read about its glory, here’s my two cents.. 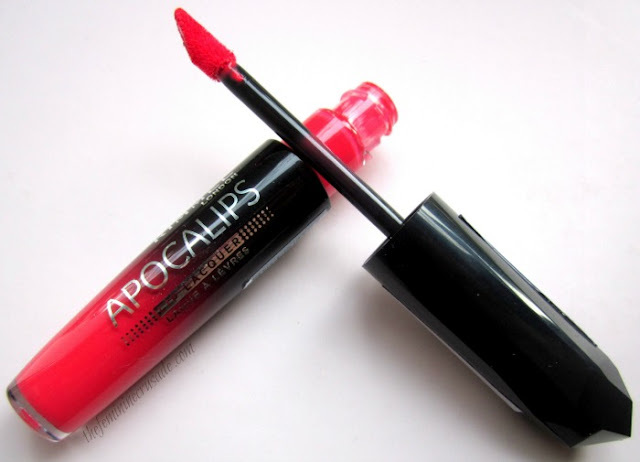 The Apocalips come in a sturdy black gloss tube, which is clear at the bottom so you can see the shade inside. They have a doe foot applicator. And they are the exact description of the phrase ‘liquid lipstick’. If I melt a lipstick, I am sure this is the formula I will get. They apply like butter & are very easy to control, even with their loud shades. Stellar is a bright pink-red. They are not at all sticky. Quite glossy, creamy, pigmented and wholly opaque! 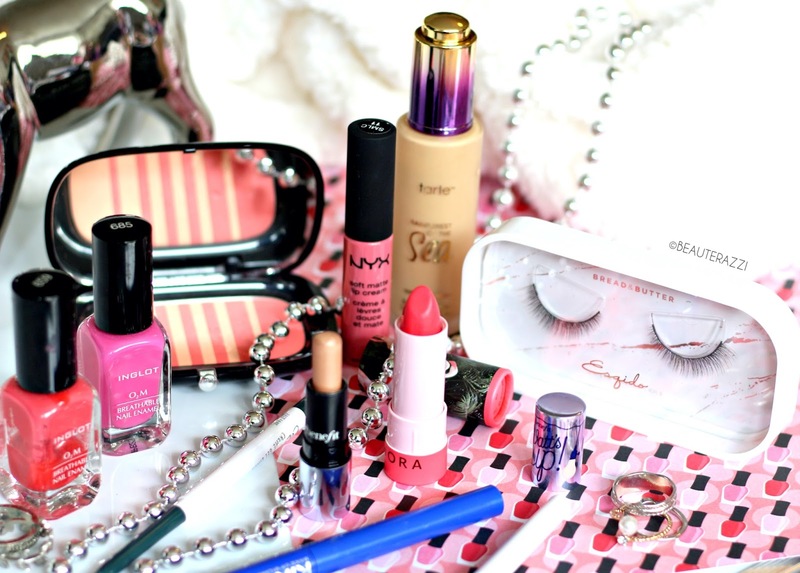 Doesn’t that sound like a lip lover’s dream? And the dream is perfected when you hear me say, they last for hours. After around 5 hours or so, the glossiness of Stellar lessens but you are still left with a dark stain on your lips, which survives a good deal of eating and drinking too. I only have the shade Stellar and I curse myself everytime for not getting some more from UK, because I haven’t seen them in Europe yet. Although, while checking the worldwide availability of this lip product, I stumbled upon Feel Unique and I whooped in delight; they deliver worldwide for free. I want to get Luna since after seeing the opacity of these Apocalips I am sure the lighter shades will look all the more beautiful. They're CHEAP! They're in my exaggerated words ‘the world’s greatest lip invention’! Who cannot love them?